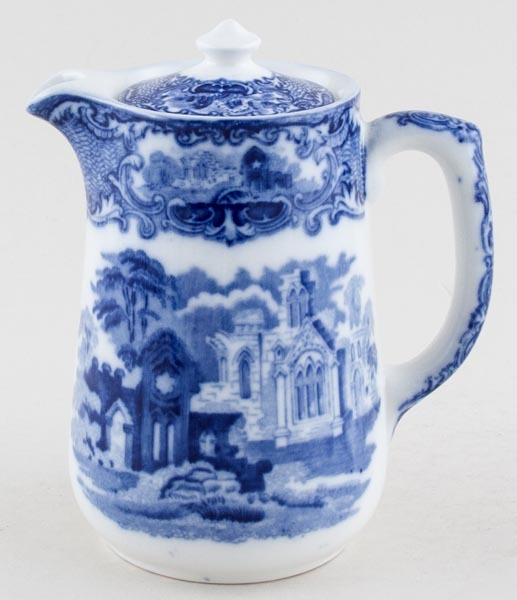 With integral spout and rounded base, not to be confused with the hot water jug. Backstamp: George Jones & Sons Abbey 1790 England Make. Tiny pin prick in the glaze to the body and a little wear underneath the pot otherwise excellent condition.